The Fairness Doctrine, what’s wrong with being fair? I am not a journalist, I never took any classes in college regarding journalism. I do not produce anything remotely covered by the traditional ethics and morals of journalism. I am merely someone who tweets his opinions on Twitter and has this blog. This blog, by the way is as amateur as it gets. It has no board of ethics, no advertisers, nothing but what I believe needs to be said. I’m a citizen expressing his views to anyone who cares to read them. They are not forced upon anyone and if you don’t like what you read here, then don’t read it. I swore no oath or signed any contract saying that I should give equal time or thought to differing opinions. If I do print up differing opinions, it’s out of the kindness of my heart or more to the point, to try to be fair in presenting my views. Again, I’m not under any ethical requirement to be completely factually correct and fair to both sides. This is a Blog, no rules apply. The problem is Mainstream Media in recent years have become for lack of a better term, corporate blogs with the same lack of integrity. Considering their money and influence, they control the narrative, and the rest of us must listen without the opportunity to hear opposing views presented in the same venue with the same aura of authority that the corporate mainstream media has. Why is that? Let us begin at the beginning (makes sense doesn’t it). After the failings of the “Articles of Confederation” the Congress felt it was necessary to create a document that would create a more cohesive and mutually dependant form of government between the states. 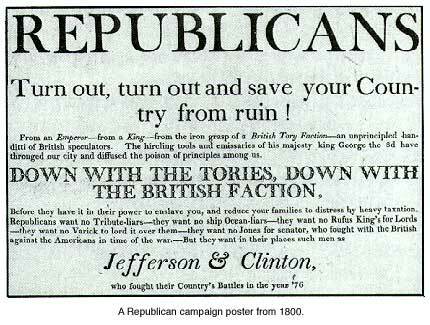 They began the Constitutional Convention to correct the weaknesses the Articles of Confederation created. It looked at codifying rights into government of and by the people so that the people controlled the government, not the other way around. And by people, they meant of course White Male Property Owners. At the time, minorities, women, indigent people, let alone Corporations weren’t considered actual people with the intellect, morals or intellect to decide how the country should go. So they installed these rights into the new Constitution. People often forget the line here saying that Congress shall not prohibit the free exercise of freedom of speech or of the press. The concept of a free and unobstructed press was so important to inform the people of what was happening so they could have an educated base to make decisions on, that the US Postal Service was required to mail such newspapers and pamphlets essentially free of charge. An informed public is a necessity if you are to have government of the people. 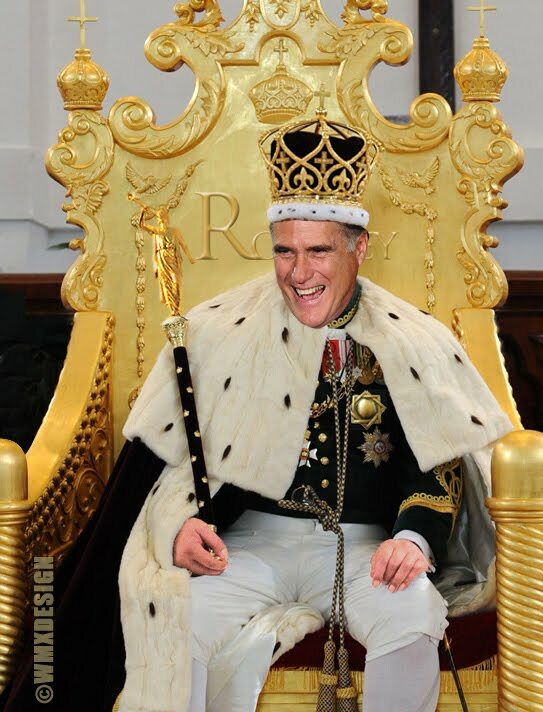 If the people are not informed enough to make decisions, then a hierarchy of nobility, wealth and influence become the rulers of government, not the people. Thing is, in the beginning all views were presented to the people because government couldn’t abridge those views. 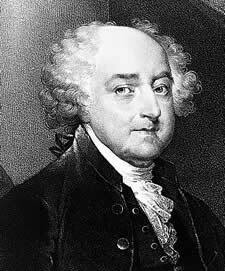 Although Conservative President John Adams actually tried to do it by having James Callender, a man who was printing complaints about his administration, arrested and charge for violation of the Alien and Sedition Acts. He was fined $200.00 and jailed for nine months. In all, twenty-five people were arrested, eleven tried and ten convicted for expressing their political views in the open. So protections to freedom of the press (expression) from government and government officials were codified. However, something the founders didn’t expect began to occur. it became easier, faster and more profitable to print out newspapers and pamphlets and as a result, the publishers who owned these papers began to become very wealthy. As they became wealthy their audience began to grow as did their influence. So instead of worrying about undue influence from government in getting all the facts out to the people for an educated and informed public to make decisions about governance, corporations began to rule the information machinery of the country. This brings us to William Randolph Hearst. In 1887 Hearst entered the publishing field. In time he created the world’s largest newspaper and magazine business. He was able to influence government by influencing the people with his stories. Hearst’s use of yellow journalism techniques in his New York Journal to whip up popular support for U.S. military adventurism in Cuba, Puerto Rico and the Philippines in 1898 was also criticized in Upton Sincair’s 1919 book, The Brass Check: A Study of American Journalism. According to Sinclair, Hearst’s newspaper employees were “willing by deliberate and shameful lies, made out of whole cloth, to stir nations to enmity and drive them to murderous war.” Sinclair also asserted that in the early 20th century Hearst’s newspapers lied “remorselessly about radicals,” excluded “the word Socialist from their columns” and obeyed “a standing order in all Hearst offices that American Socialism shall never be mentioned favorably.” In addition, Sinclair charged that Hearst’s “Universal News Bureau” re-wrote the news of the London morning papers in the Hearst office in New York and then fraudulently sent it out to American afternoon newspapers under the by-lines of imaginary names of non-existent “Hearst correspondents” in London, Paris, Venice, Rome, Berlin, etc. 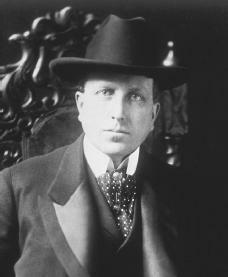 Another critic, Ferdinand Lundberg, extended the criticism in Imperial Hearst (1936), charging that Hearst papers accepted payments from abroad to slant the news. After the war, a further critic, George Seldes, repeated the charges in Facts and Fascism (1947). Does this sound familiar today? 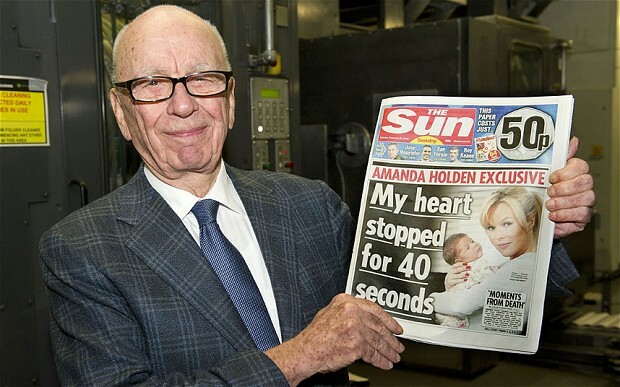 Any similarities between the Hearst Newspaper Empire and Rupert Murdoch’s Media Empire are completely intentional. The Fairness Doctrine was a policy of the United States Federal Communications Commission (FCC), introduced in 1949, that required the holders of broadcast licenses to both present controversial issues of public importance and to do so in a manner that was, in the Commission’s view, honest, equitable and balanced. The FCC decided to eliminate the Doctrine in 1987, and in August 2011 the FCC formally removed the language that implemented the Doctrine. The main agenda for the doctrine was to ensure that viewers were exposed to a diversity of viewpoints. In 1969 the United States Supreme Court upheld the FCC’s general right to enforce the Fairness Doctrine where channels were limited. But the courts did not rule that the FCC was obliged to do so. The courts reasoned that the scarcity of the broadcast spectrum, which limited the opportunity for access to the airwaves, created a need for the Doctrine. However, the proliferation of cable television, multiple channels within cable, public-access channels, and the Internet have eroded this argument, since there are plenty of places for ordinary individuals to make public comments on controversial issues at low or no cost. The Fairness Doctrine should not be confused with the Equal Time rule. The Fairness Doctrine deals with discussion of controversial issues, while the Equal Time rule deals only with political candidates. In 1981, broadcasters abandoned their voluntary code of conduct, which had established programming and advertising standards through industry self-regulation. In 1981, The FCC created a “postcard renewal process,” throwing aside a more detailed review of whether broadcasters are meeting their obligations. In 1984, the FCC eliminated the ascertainment requirements whereby broadcasters had to reach out to the public, determine local community needs, address those needs through programming, and defend those choices in their license renewal process. In 1987, the FCC repealed provisions of the Fairness Doctrine, which required broadcasters to provide reasonable opportunities for contrasting and dissenting views on controversial topics. In 1996, Congress passed a telecommunications deregulation bill that allowed further consolidation in radio and television markets. In 2003, the FCC eliminated a wide range of media concentration protections, allowing a single company to own eight radio stations, three television stations, the only daily newspaper, the dominant cable TV provider, and the largest Internet Service Provider in a single community. It also effectively allows media conglomerates to control TV stations that serve up to 90% of all Americans. This is stunning. Beginning with Reagan and the growth of Conservative views in governance of the airwaves and information media,( and with help from Democrats mind you) Corporations now have nearly full control on what is provided as fact to the American people so as to fit their narrative and control what government does. If Hearst was alive today, he would die in his orgasmic response to what has happened. Freedom of the Press has become freedom to control the people, what they hear, what they think and as a result, controls government. The move to the conservative right in terms of governing, social morals, ethics, racial views all started under Reagan and has hit critical mass as we speak today. Most of it could be controlled if the American people were to get the full story again to make an educated and informed decision if we still had the “Fairness Doctrine” requiring media to show both sides of the issue. But today, they don’t. 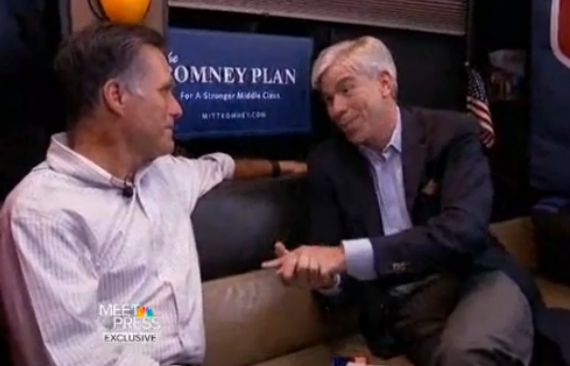 I decided to do this rant based on the Meet the Press Romney Campaign Ad disguised and David Gregory interviewing Mitt Romney. 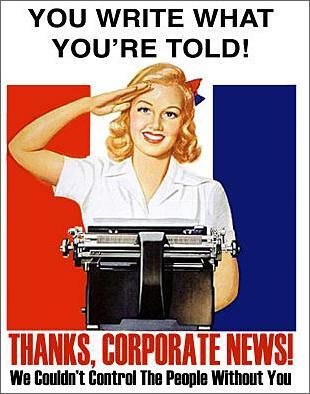 Corporations control the traditional media and as a result, the messaging, the narrative getting out to the American people. They only want people to hear their side of issues, not the others because they know that if more information about the other side came out, they would no longer have the influence they do. What’s more, they are successfully working on the last refuge for the voice of the other side to get out to the people, the internet via social media tools like Twitter, Facebook, Blogs, etc. Once they go, there will only be one voice being heard. We will no longer have the informed, educated people the founders knew we needed in order to self govern. We will instead need to be led by those in the higher economic, or possibly social classes. Dare I say, a new monarchy. We lose the means of information, we lose democracy. These are perilous times for The United States.